In a recent post on the CNN Belief Blog, Greg Epstein, Humanist Chaplain at Harvard, was featured as a voice for building bridges and focusing on community during the holiday season; a counterpoint to more aggressive tactics in the atheist movement. Congratulations to the Rutgers University Secular Humanists!! We’re proud of the accomplishments of the RUSH E-board and members who put together the constitution, members lists and other paper work and finally got provisional status as a actual club. Cheers! And here’s to finally getting a budget and the chance to meet in actual rooms for your meetings! Everyone at HCRU looks forward all the great projects in your future. If you’re interested in joining the now official club, please check out the Rutgers U. Secular Humanist’s Facebook Page. 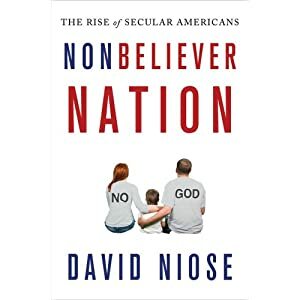 If you didn’t make it to the David Niose talk you missed out. But you don’t need to miss out on a good summary of the discussion. The Rutgers Targum, the University’s oldest newspaper, published a piece about the event on September 19th. Check out the article in the link above. So I would be doing you a disservice if I were to ask you to join Rutgers University Secular Humanists (RUSH) and ask you to be a student Humanist without backing up what these items entail. This will give you a good idea what to expect of RUSH, Humanism, and me, if writing is of any indicator. A recent Gallup Poll puts residents of Hawaii, Utah and South Dakota at the top of the list for flourishing in the US. At the bottom of the list? Residents of Maine and West Virginia were least likely to be flourishing. Well, technically Gallup is using the term ‘Thriving‘. In the upper end of the spectrum, States had around 60% of their residents thriving. On the lower end it was estimated at only around 40%. A pretty big gap! If you can attend, we would love to have you. If you’re showing up just to see the tables, make sure to stop by! You can either help us set up or just keep up company. Please send us an email if you would like to come. Thanks!